New Delhi World Book Fair sees book sellers, publishers and book lovers from all parts of the country and abroad gathering at Delhi's Pragati Maidan. New Delhi: It was a sunny winter afternoon at the Delhi World Book Fair which saw thousands of bibliophile gather at the city's one of the most-awaited fairs. Themed around 'Environment and Climate Change', the 26th New Delhi World Book Fair opened on Saturday with a call for increased awareness and efforts to protect the environment. 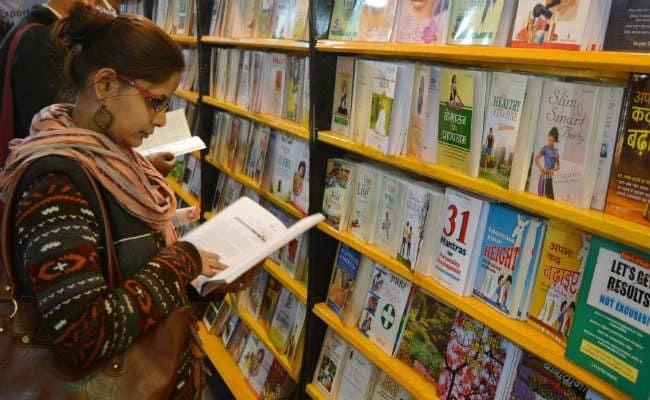 The nine-day annual event sees book sellers, publishers and book lovers from all parts of the country and abroad gathering at Delhi's Pragati Maidan. This year, the New Delhi Book Fair was inaugurated by environmentalist Sunita Narain, European Union ambassador to India Tomasz Kozlowski and National Book Trust chairman Baldev Bhai Sharma. On Sunday with the weather remaining pleasant, booklovers started coming to the fair late afternoon. Many of the publishers this time had decorated there stalls keeping a match with the theme of this year's book fair - "environment and climate change". Like other years, this year too, it was children who kept the Delhi Book Fair lively with their enthusiasm and keen interest in books. Although Harry Potter, Game of Thrones, Enid Blyton and Ruskin Bond remained prefered pick for children, Book Fair 2018 also sas an increase in demand of comic series and fable tables. Six-year-old Nael Khan who was already holding a copy of colouring book was hopping from one stall to another searching for Vikram Betal series. This was his first visit to book fair and his excitement seemed no boundaries. "I am very happy to be here. There are so many colourful stalls and so many books. I want to buy as many books possible. I love reading fable tales, they are very interesting. I also want to buy books on Akbar-Birbal stories," Nael said. The World Book Fair 2018 has a dedicated theme pavillion in Hall 7 E with books in English, Hindi and other Indian languages on environment-related issues like climate change, global warming, water and air pollution. Over 20 European Union countries are participating with a delegation of publishers, editors and authors. The EU pavilion also showcases some of the latest publications in English and other European languages along with panel discussions, talks, photo exhibits and cultural performances. Apart from the EU nations, more than 40 countries including Canada, China, Egypt, Pakistan and United Kingdom are participating in Delhi Book Fair 2018. In authors corner, visitors can get to interact with some of the well-known writers like Ruskin Bond, Jerry Pinto, Michael Creighton, Paro Anand, Mridula Garg and Ranjit Lal among others. Being held at Pragati Maidan and co-organised by the National Book Trust (NBT) and ITPO, the annual New Delhi World Book will continue till January 14.